Jeremy Corbyn was given a rousing reception at the Pier Head last night as he spoke at a rally to herald the start of the Labour Party Conference, which opens in Liverpool today. Mr Corbyn, who earlier in the day attended Liverpool FC’s 3-0 win against Southampton and laid a wreath at Anfield’s Hillsborough memorial, was the star attraction at an event featuring speeches by local politicians and songs by Merseyside bands, The Christians and The Farm. 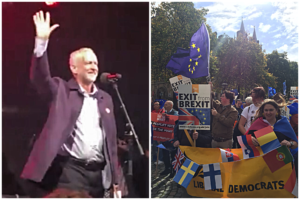 The issue of Brexit is likely to be one of the main themes running throughout the four-day conference, with some pro-Remain supporters making their feelings heard during the rally, only to be shouted down. Campaigners who want to halt Brexit also staged a People’s Vote ‘March for the Many’, which started at St George’s Hall at noon today. The event also attracted thousands in the city centre. 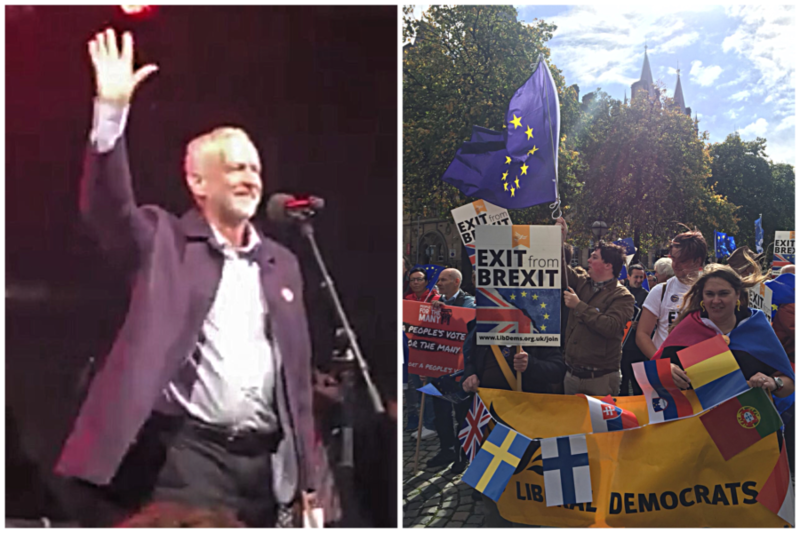 Corbyn has been insistent that his party must respect the result of the June 2016 referendum which has led to the Conservative Government’s protracted negotiations on the UK’s withdrawal from the European Union. However, in a Mirror newspaper interview today, he has suggested for the first time that his stance may change if Labour members vote for a new public referendum as part of their conference deliberations this week. The ACC Liverpool last staged the annual Labour Party Conference in 2016, when Mr Corbyn was elected leader, and this year’s programme will close on Wednesday. Reporting by: Annie Williams; David Haycocks; Adele Matthews; Harry Leahey; Rose McMillan; Angelica Day; Simran Roy; George Adams; Shannon Lyon; & Conner Kiernan.